I remember the feeling of nervous anticipation as I navigated my way through the Vienna airport in the winter of 2015. I was on my way to meet my fellow Masters of Wine students for our first year seminar in Rust, the heart of the Burgenland wine region of Austria. There were a host of reasons for my sweaty palms and racing heart. Would my new colleaugues prove to be far more knowledgeable and experienced than me? Would our MW teachers be pretentious and aloof? And, above all…how would the group react to my rather prominent mid-section? On retrospect, I suppose that preparing for the worst (judgemental comments and disapproving stares), made the reality a pleasant surprise. The organizer singled me out in a loud, yet jolly voice as ‘the pregnant one’, and reactions were a mix of disinterest or polite congratulations. No one seemed to find it odd that I was embarking on intensive wine tasting studies in my ‘delicate condition’. No one seemed to find it odd that I was embarking on intensive wine tasting studies in my ‘delicate condition’. In fact, I was regularly regaled, through out the week, with the story of Jancis Robinson sitting (and passing) her Masters of Wine exams while 8 months pregnant. To the MW set, this was irrefutable proof that one can prevail in the face of changing tastebuds, heartburn and general exhaustion. Now, two years on, I find myself back in the same position; waddling into industry tastings to ply my trade. This time around I am in North America rather than Europe, and while I have not noticed any outright disapproval, I have met with much more curiousity about the logistics of wine tasting while pregnant. Pregnancy takes your body on a bit of a wild journey. Your hormones are all over the place and most definitely affect your sense of smell and taste. 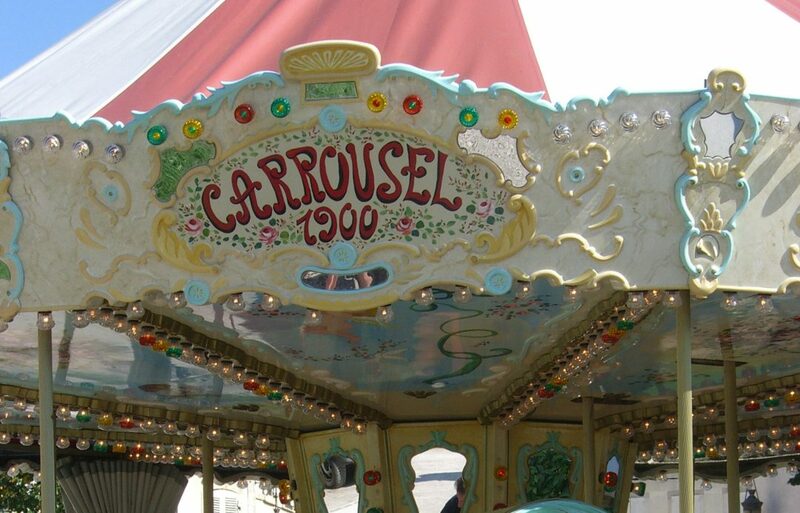 Each woman has their own experience, and I can only speak of my two rides on this crazy carousel. Pregnancy takes your body on a bit of a wild journey…Attraction to and repulsion by certain smells is so strong that I lose all notion of objectivity. The first three months are tricky. Attraction to and repulsion by certain smells is so strong that I lose all notion of objectivity. It is almost impossible to neutrally judge a wine’s merits in these conditions. 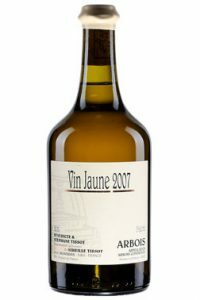 The tasting portion is even worse, with the separate structural elements of acid, tannin, oak, alcohol, residual sugar all standing out in jarring opposition. I suppose that this is nature’s way of keeping me off the sauce in that first critical phase while the embryo implants. Around month four or five, a renewed sense of pleasure returns and with it, the bitter reality of having to wait out a long, dreary ‘dry season’. On the plus side, sensory perception appear to be functioning on high alert, with separate, clearly defined aromatics near bursting from the glass. Wines seem more harmonious on the palate (depending on quality level) and infinitely more desirable. The only foe that plagues me until the end is acidity. Dry wines with high acid levels remain unpalatable through out. Beloved wines like Chablis, Sancerre and Champagne lose much of their appeal. Sensory perception appear to be functioning on high alert, with separate, clearly defined aromatics near bursting from the glass. The most fascinating aspect of the whole process is the aftermath. While my sense of smell didn’t remain quite as sensitive after giving birth, I definitely feel that I retained more accute olfactory capacities than was previously the case. A specific wine tasted pregnant, that had revealed so much more nuance to me than before, still did so afterwards. Come July, I am hoping for a similar result. And oh the sheer bliss of drinking wine again after such a long spell of carefully sniffing, swirling and spitting! In my case, absence definitely does make the heart grow fonder. Favourite wines are rediscovered like long lost friends, grown infinitely more special after such a long spell apart. All in all, I think that pregnancy has and is enhancing my tasting ability and enjoyment. There are undeniable setbacks as our tastebuds adjust, and as we settle into a new, slower work pace during the waiting months and the sleepless nights with crying newborns. However, in my opinion, the rewards vastly outweigh the sacrifices. A villa in Tuscany…this notion conjures up romantic images of rolling hills dotted with vineyards and olive trees, warm sunshine, delicious, market-fresh food and, of course, incredible wine. For if there is one Italian region that even the least wine savvy among us has heard of, it is generally Tuscany. Tuscany is the heart land and historic home of Italy’s most widely planted wine grape: Sangiovese. Said to be named after the latin term sanguis Jovis (blood of Jupiter), the Sangiovese grape produces wines that range stylistically from crisp, herbal, red fruited quaffers to complex, full-bodied, firmly tannic beauties, depending on where the grapes are planted. Sangiovese is named after the latin term sanguis Jovis (blood of Jupiter). Forty kilometres south of Siena (and its well-known, northern neighbour of Chianti), lies a series of sleepy hamlets and one lone hill rising to 564 metres in altitude. This is the municipality of Montalcino, where the storied Brunello di Montalcino red wine is crafted. Montalcino spans over 24 000 hectares, with a mere 15% devoted to grape vines. The region is incredibly biodiverse, with a high proportion of forests, olive groves and seeded crop lands interspersed between the vineyards. Sheltered from rain and hail by Mount Amiata to the south, Montalcino boasts a warm, dry Mediterranean climate. 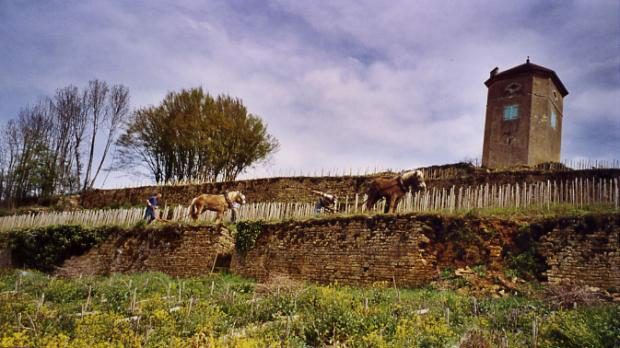 The lower lying vineyards tend to produce fuller, heartier, more deeply coloured wines. The plantings at higher elevations, where denser, limestone/ marl soils abound, are generally fresher, more firmly structured and tannic. Montalcino is incredibly biodiverse, with a high proportion of forests, olive groves and seeded crop lands interspersed between the vineyards. Whereas Chianti can blend in up to 30% of other, authorized red grapes, Montalcino reds are made solely of Sangiovese. Historically, one specific set of Sangiovese clones (informally called ‘Brunello’, or more specifically ‘Sangiovese Grosso’) was planted. This is no longer the case. Sangiovese Grosso grapes have a high pulp-to-skin ratio. Given that the highest concentration of phenolic (colour, tannins) and flavour compounds are found in the skin, a higher skin-to-pulp ratio is favourable for truly concentrated, complex wines. Nowadays, a large variety of clonal selections exist in Montalcino; a boon to both quality and stylistic diversity. Brunello di Montalcino DOCG wines are aged for 5 years before release (with a minimum of 2 years in oak casks). Even more premium, are the Brunello ‘Riserva’ wines which see a full 6 years’ maturation. In their youth, they feature ripe, dark fruit aromatics, underscored by notes of violets, spice and bright, red fruits. They tend to be fresh and full-bodied on the palate, with lovely depth of ripe, fruit flavours and firm tannins. Due to their complexity and structure, Brunello wines have great ageing potential, softening and developing attractive dried floral, fig and leather flavours over time. The painstaking labour that goes into crafting each bottle comes at a certain price tag. Brunello di Montalcino wines tend to start at 40$ and rise steadily into the 100$ + category. Luckily for the more cash strapped among us, there is a more affordable alternative, namely Rosso di Montalcino DOC. These wines are matured in cellars for just one year, with oak ageing optional. They may not have quite the complexity, concentration or longevityy of their illustrious big brother, but are often pleasant, good value wines. In their youth, Brunello di Montalcino wines tend to be fresh and full-bodied on the palate, with lovely depth of ripe, fruit flavours and firm tannins. A month ago, I had the good fortune to attend a seminar and tasting presented by the Consorzio del Vino Brunello di Montalcino to showcase the much heralded 2012 vintage. Deemed ‘a return to finesse’ by the Wine Enthusiast and a ‘rockstar vintage’ by James Suckling, I was keen to see what all the fuss was about. Cool, wet weather marked the 2012 winter season, followed by a very dry, warm summer. Rains late in the ripening period brought necessary water for the vines, without diluting flavours unduly. On the contrary, many growers reported yields down from 14% to as much as 30% on the abundant 2011 harvest. My overall feeling, after tasting through a wide sampling of the vintage, was that quality is indeed exceptional from many producers, but on the whole uneven. Beautifully ripe fruit was a common theme. However tannins were sometimes green and astringent, suggesting that the intense summer heat caused a gap between sugar and phenolic ripening in certain vineyards. Here are a selection of my favourites (Rosso and Brunello). Note that the majority of the 2012 Brunellos have yet to be released at the LCBO or SAQ (What do VW, PW and LW mean? Click on my wine scoring system to find out). Always good value for money, the Altesino Rosso di Montalcino features pretty red cherry, earthy, balsamic notes on the nose. 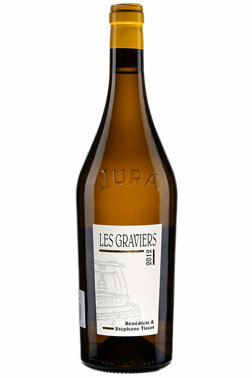 The palate is lively and pleasantly fruity, with moderate concentration and fine-grained tannins. Ripe and fresh, with vibrant red fruit, earthy notes and savoury undertones. The palate is dense and firmly structured, yet pleasingly smooth in texture. This moderately concentrated red offers great balance, and finishes on ripe, chewy tannins. Fantastic value for the price. Vibrant red currant and cherry notes are underscored by leafy nuances, subtle spice and leather. Crisp acidity gives way to a very firm, tightly knit structure and highly concentrated fruit on the mid-palate. 2 years’ ageing in traditional Slavonian oak casks give a rounded, earthy tone to the finish and a fine grained tannin profile. This cuvée offers a lot of finesse. It is worth hanging on to this lovely red for 5 – 7 years’ to let it soften and broaden out. A very fine balance of elegance, power, structure and finesse. The nose is moderately intense and highly complex, with earthy, spiced, red cherry, ripe tomato and hints of balsamic. Fresh and lively on the palate, providing a perfect counterweight to the weighty, firmly structured yet fleshy style. 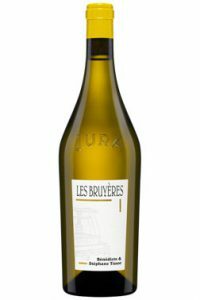 Lovely depth of flavour defines the mid palate, with fruity and savoury notes lingering on the finish. This is a fantastic example of the ageworthiness of the better 2012 Brunellos. Beautifully fresh red cherry, currant, spice, balsamic and talc notes feature on the nose. The palate is incredibly vibrant, full bodied, dense and tightly wound. The impressive depth of flavour and ripeness of the big, chewy tannins suggest superior ageability. Lay this down for at least 3 more years, or decant long before serving and pair with red meat. Incredibly elegant, complex nose, featuring floral tones, tangy balsamic aromas, red cherry and blackberry. Upon aeration, deeper notes of leather and spice emmerge. Fresh and bright on the attack, with lovely, layered fruit that is somewhat marred by a drying sensation and a touch of phenolic bitterness that brought an otherwise very high score down a few pegs. Very pretty nose, redolent with just ripe red cherries, potpourri, mixed spice and earthy notes. Upon aeration, intriguing leather notes develop. Very fresh and vibrant on the palate, with a firm, weighty structure and multiple layers of tangy fruit. The finish is long and lifted, marred only by the slightly drying nature of the firm, grainy tannins. Needs time. Medium ruby, faded at rim. Vibrant and fruity on the nose, with fresh red cherry and currant notes, underscored by hints of violets, earthy tones and subtle spice. Crisp and firmly structured on the palate, with layers of tart red fruits and balsamic flavours. The tannins are firm, yet ripe. While already quite harmonious, this red would definitely benefit from additional cellaring.